Finally, the Government has launched its much delayed 25-year plan, A Greener Future. A Rocha UK has called frequently for much greater Government vision to protect and restore the UK’s environment. 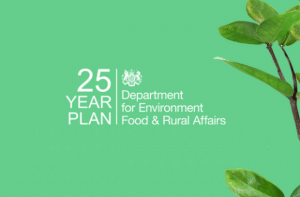 Backed by the Prime Minister’s desire that we should be the first generation to leave the environment in a better state than we found it, the 25-year plan provides an exciting vision. A Rocha UK welcomes that. The vision includes, among a long list of positive aims, an end to all avoidable plastic waste by 2042, creation of 500,000 hectares of new wildlife habitat, designation of new marine conservation zones by July 2019, and intentions to change farming practice and subsidies to reward good stewardship of nature. But the plan is hollow when it comes to concrete policies. The only firm commitment is to impose a plastic bag charge on small shops in England – something Scotland and Wales already do! Its response to a slew of critical issues where bold action is needed now, is simply that the Government will consult.